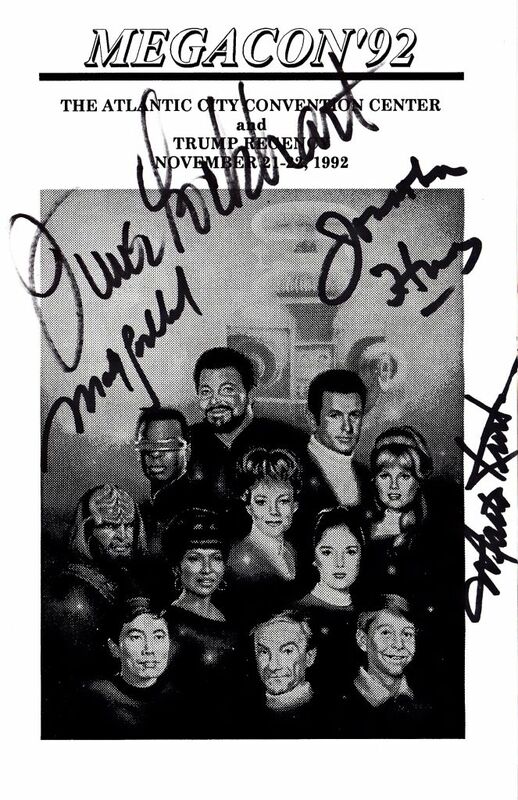 Lost in Space cast members signed this front cover at the MEGACON Atlantic City Convention Center and Trump Regency November 21-22 1992. As showned signed by June Lockhart, Mark Goddard, Marta Kristen, and Jonathan Harris. 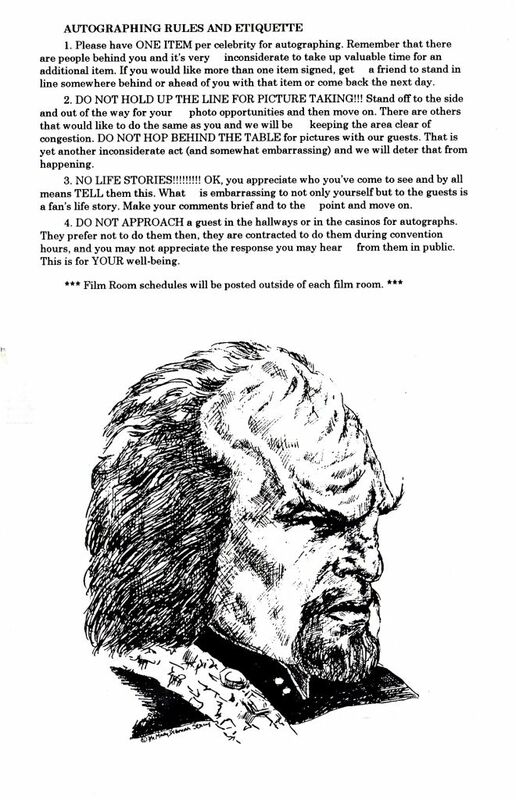 signed in black sharpie, nice clear signature showning front and backside of program phamplet.